Adults can learn a foreign language too! Learning another is language is fun, simple, and rewarding. 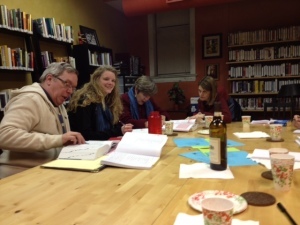 Many adults enjoy learning a new language and benefit from it — just like the students learning Italian at Sentieri. Students here are all different ages, from their 20s to their 80s! This just shows that any adult can easily learn another language! Come enjoy the benefits of bilingualism by signing up for the Spring Quarter at Sentieri!